jade thirlwall was always picked on by everyone for absolutely no reason but there's one person who knows how to really toy with her emotions. perrie Edwards stuck up and thinks she can treat people like crap but she mostly enjoys hurting one student jade thirlwall what will happen when one day perrie feels something and can't control her self will secrets stay just secrets or will things get way out of hand? Disclaimer: This was my very first fanfiction and it was written horribly. There's grammar errors, improper grammar, and just not the best story that was written in general because I wrote this when I first started to figure out how to write and it was done horribly. So, read at your own risk. 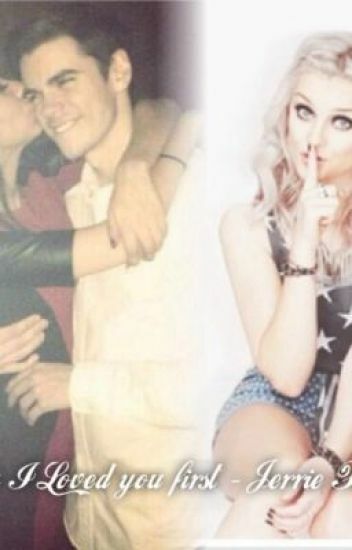 - jadethirlwall @perrieedwards um, who are you?? What if Perrie comes back after leaving Jade with that one text? And what if she comes back and realized that it was too late? Perrie Edwards - 22 , A Single Mother, Struggling with 2 Years old daughter and a teenager sister. Already won most of the Titles. Let's see How their paths would cross! Will Everything end up like they say? like they say 'Picture Perfect' ? "Pez! Promise me we will grow up together okay?" Perrie Edwards the most famous celebrity in UK. Her talent discovered when she's still a child and until now she still known by all of the people in UK even on the other country as the famous girl. All of the people love her as in all! even gays and girls are inlove with her. Jade Thirlwall one of the richiest girl in UK but she's not famous like perrie  she dont care about the fame. Even tho she's rich she still have a good heart. And oh i forgot she's like one of the normal teenager supporting Perrie Edwards. Like a normal fangirl. What will happened if this two people meet again?! Do you think they still remember their childhood memories together find out here by reading this book. Perrie, her family and a few friends win a free trip to  a lovely little island just outside Spain for a month. What happens when Perrie meets the hotel owners daughter, Jade will sparks fly? Will they fly in the space of a week? Is this a real relationship or a summer fling?